Vacuum tubes were used to build computers of first generation. These computers were so large in size because of using thousands of diode, triode, transistors, capacitors etc. and also used to use a lot of electricity. These computers of first generation used to produce a lot of heat, so those were more expensive to support by setting up cooling systems. Maintenance of these huge sized computers were complex and expensive. 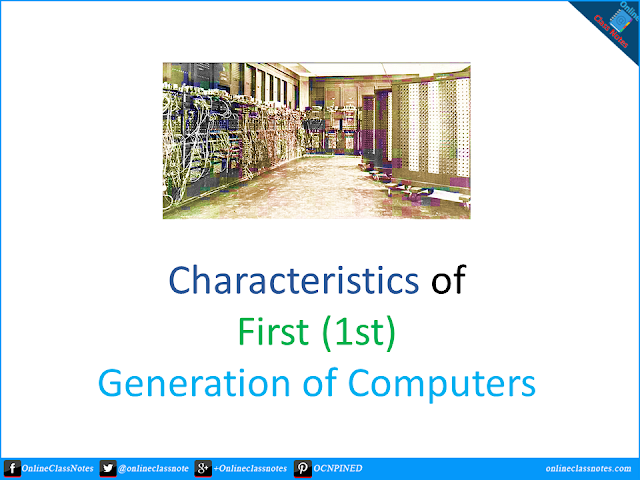 Following are some of the characteristics of the computers of first generation. Next Read: Characteristics of Second Generation Computers.